Description: Multi-stemmed deciduous to evergreen shrubs sometimes form small to medium sized trees. 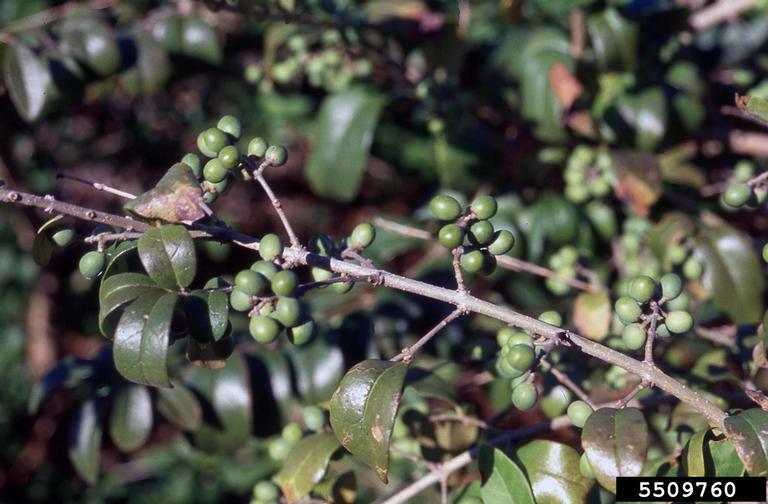 Leaves are up to 2 inches long and are shiny green above, with pale green undersides. 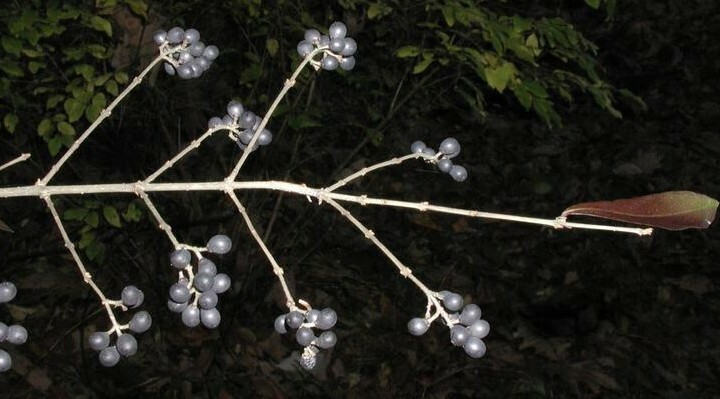 Stems are brown to grey with lenticels and sharp woods spurs. 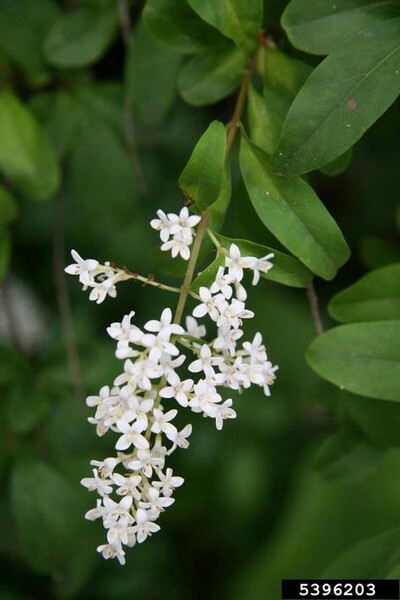 Flowers are small, white, and fragrant, forming clusters near the tips of branches. 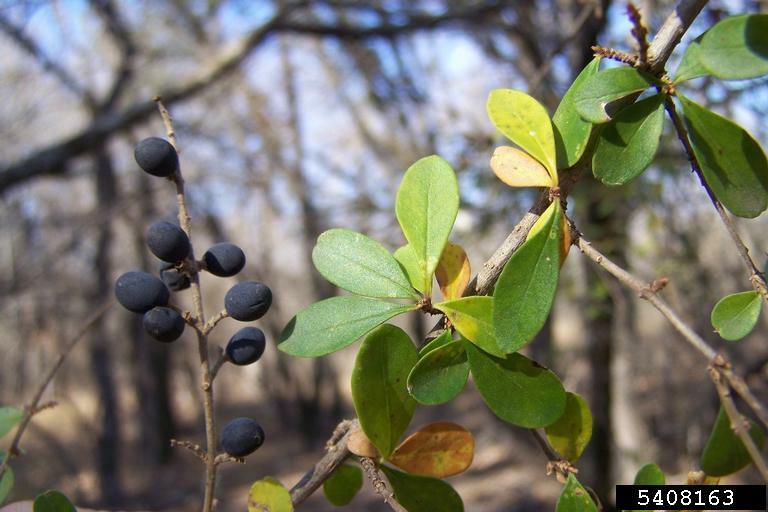 There are several species of privet which are invasive and which may be in the region, but more survey work is needed for verification. European privet leaves have a distinctive look: they seem to spread in multiple directions and are different sizes. 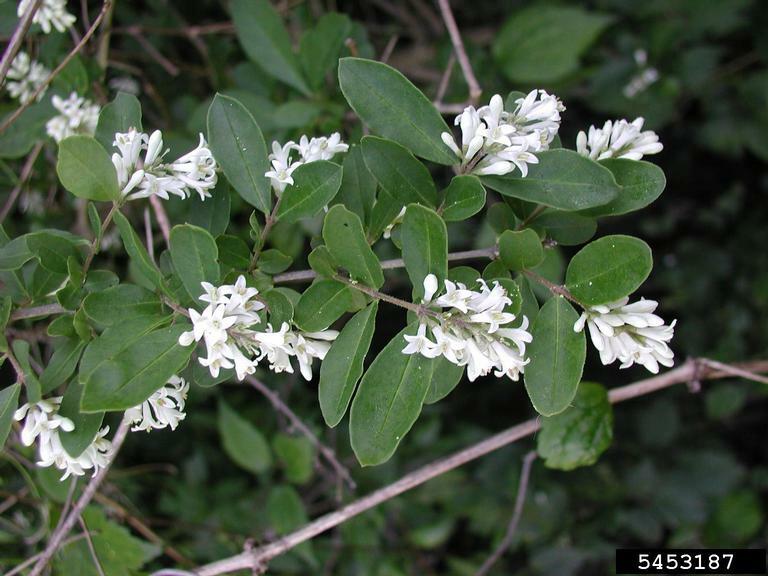 Habitat: Privet thrives in areas subject to disturbance such as along woodlines, trails, roads, and riparian zones. Shrubs tolerate direct sun to low light conditions. Tends to establish along edges and move into woodlands. 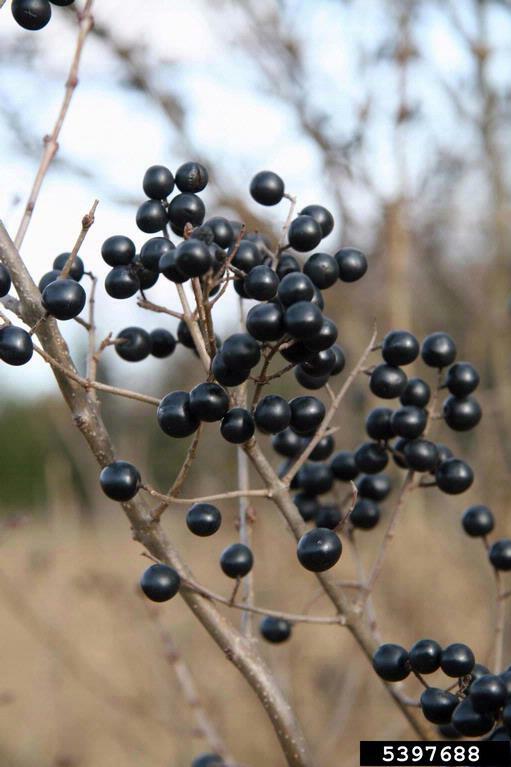 Invasive Traits: Shrubs bear fruits which are attractive to birds, which disperse seeds. Shrubs form dense thickets crowding and shading out native vegetation. Vegetative reproduction allows it to spread quickly. Control: Small isolated populations can be managed by hand pulling and digging as long as root systems are removed. Herbicide application via foliar spray is most effective. Cut stem and basal bark applications are difficult for the large number of small shoots around large main stems.